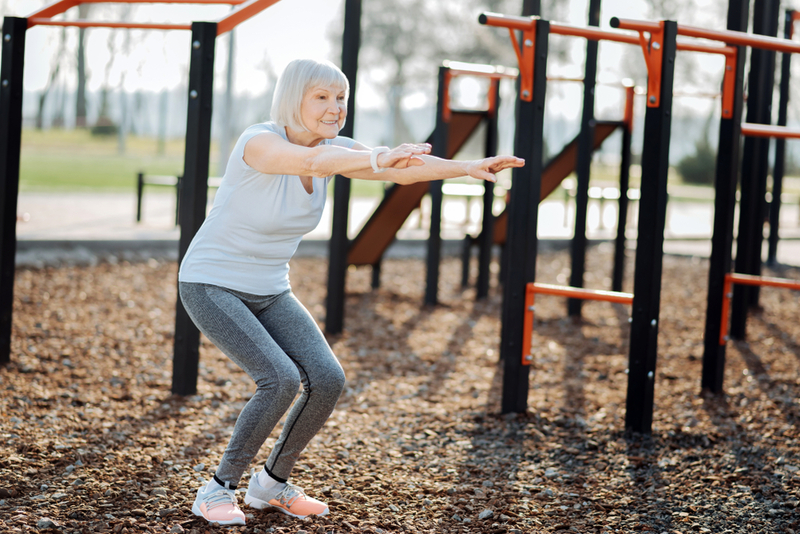 There are many reasons for keeping the legs strong including reducing fall risk, improving metabolism, and getting out of a chair with more ease. Additionally, according to a British study done on twins, published in 2015, there is also a link between brain health and leg strength. As a physical therapist, I teach my patients exercises every day, and over the years I have found the chair squat to be one of the most functional and practical leg strengthening exercise. Have someone time you (or look at the clock yourself), and on “start”, you come to a full standing position with arms still crossed and back straight-then sit down again. Repeat for 30 seconds, counting the number of times you get up. *If you have any balance difficulties, do the exercise with hands on a table and have a person standing next to you for support if needed. Once you have determined your number of repetitions, I suggest you do 2-3 sets of that number, either fast or at an easy pace, every day. Make sure you don’t hold your breath as you practice this exercise. If the exercise makes your knees achy, progress slowly as tolerated, or check with a healthcare provider first. For more information on the test, please visit the CDC website. And, let's get out of those chairs (and sit in them again, and stand, and sit)! 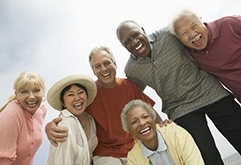 Meet others talking about exercise and healthy habits in the Healthy Living group.